The next meeting of the Colorado Unified Communications User Group (COUCUG) will be held on September 26th from 4-6pm at the Polycom offices in Westminster, Colorado. Come join us as we discuss the voice portion of the Lync solution. 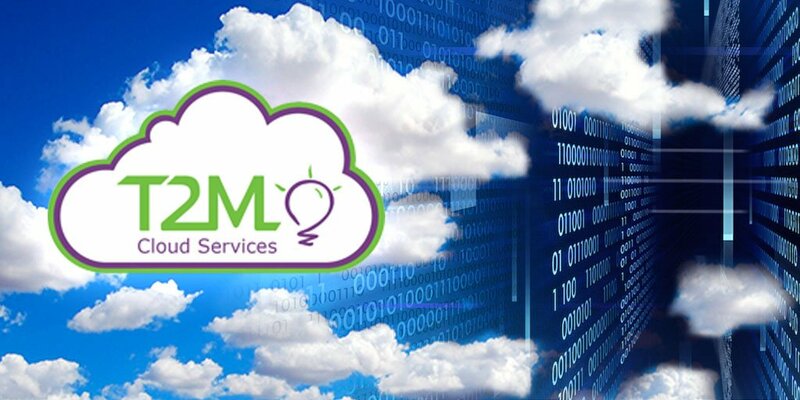 We'll hit on topics such as SIP and Lync as a PBX replacement, Lync On-prem and telephony devices for Lync. 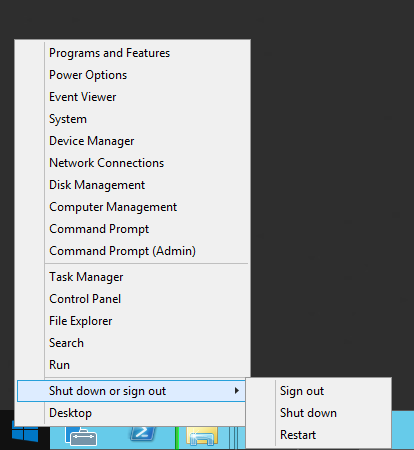 How many of you have installed Windows 8 or Server 2012 R1/R2 and become instantly annoyed by how many clicks it takes to get to the control panel, programs and features, event viewer, system applet, device manager etc. Well I'm here to make your day better... really!! Put your mouse down to the lower left part of the screen... you know... where you normally access the Start Screen. If you are anything like me, you know what you want and you don't want to bother finding an icon... so you usually just hit the Run dialog to start your apps. If you hit Windows + R you will easily access your old friend. 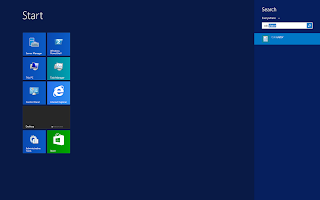 One of the first things a die hard windows user looks for is the programs menu and icons for applications. But those seem to mysteriously disappear in Windows 8 and Server 2012 R1/R2. Not really they just aren't pinned to the task bar or start screen. If you hit your Windows key and then start to type the name of the program you are looking for. If you go to the top right of the screen (or swipe from the right on a touch screen) you will be presented with a number of "Charms". The most important thing to realize is that these are context sensitive. The settings charm is for the app or area of the OS you are in. 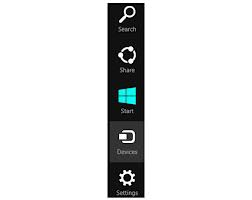 That is why you have to go to the desktop to get settings that expose the control panel vs accessing the settings for the start screen. The search charm is for the app or area of the OS you are in. With search, you can change the scope to be something more than just the app as an example. But it starts of being just for the context it was invoked. Share charm lets you share what you are doing with other apps like email or social networks. In general this is controlled by the developer and by my experience the functionality varies widely. The device charm lets you interact with devices on your PC or the network. If you ever wondered how to print from an app that was installed by the Windows App Store this is probably the easiest way to do it. Anyway... you get the idea. 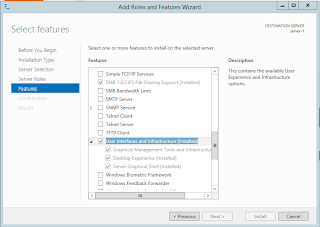 #5 Server 2012 R1/R2 hey... where did my Flash in Internet Explorer go? Flash is supposed to come with Internet Explorer automatically now right? 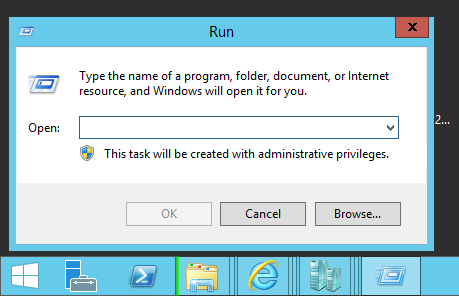 Not on Server 2012 R1/R2. You have to install the Desktop Experience under features to get it. I’ve been running with Polycom VVX 500 Better Together over Ethernet (BToE) since Monday, September 9th (Polycom released last Friday). It is reasonably easy to set up and won’t require administrative overhead other than a bit more work when you do the initial phone setup. I also tried to setup the Snom version… since they responded by shipping their Beta on Monday. The Snom version looks like it was coded over the weekend and it is not deployable large scale by any stretch of the imagination. It has major administrative overhead to get it up and running (which I haven’t got it running yet). At this point I wouldn’t have called it a Beta… maybe more like pre-alpha/alpha version. In my opinion.. Polycom is really the only choice at the moment. A separate application has to be running in the systray to allow BToE pairing. If connection to the PC Port is lost or disconnected, then pairing is lost and has to re-paired (not a big deal). Rumor is… this is a bug…and it should reestablish on its own, once paired. Exchange Calendar integration is not automatic. It has to be configured separately. Which is nice we have this option. The current version doesn’t seem to come back after the phone is rebooted. Might be a bug. I do not have details about deployment of it… but it does appear we have an option for paging through phone with the Polycom VVX series. At the surface it looks like it uses a Multicast address on the IP network. Some Plantronics and Jabra USB headsets are supported as a headset option with these phones. I’ve been using the Voyager UC Pro and Voyager Legend with the phone. The Polycom seems limited in the features you can assign to “buttons” on the phone. You can have multiple users logged in with also the ability to do shared line appearance. The phone is aware of delegate scenarios and notifies user of those when a user is logged in. 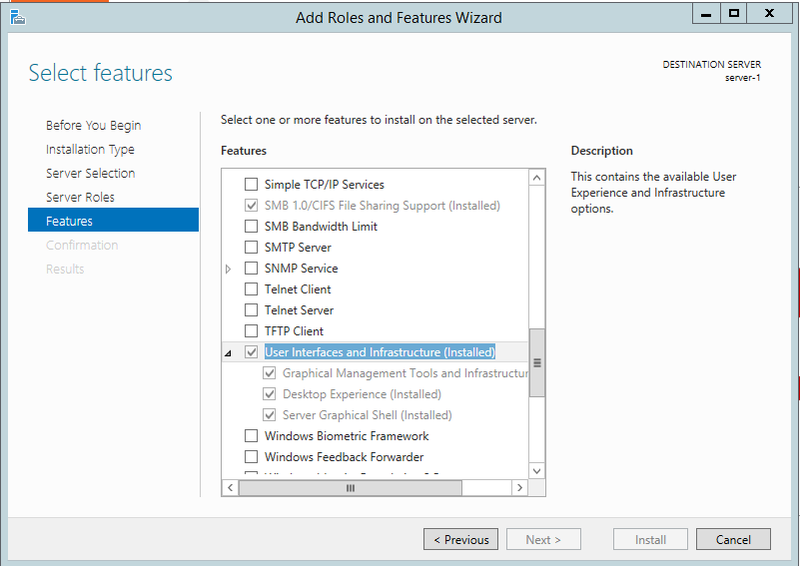 Transfer from Phone to other USB device on Lync works… but does not work to go back. This would seem to be a bug. Mute from the Lync client is not available. You can only Mute using the phone. There is also no notification in the Lync window you are muted and to others as well. Works with Lync 2010 client. The VVX phone is well engineered with a nice feel to it. The Snom has quite a large range of features we can assign to buttons on the phone. Snom firmware for Lync has been out in the wild longer. Biggest complaint from customers about Snom phones is the look and feel. They feel cheap and not well made.